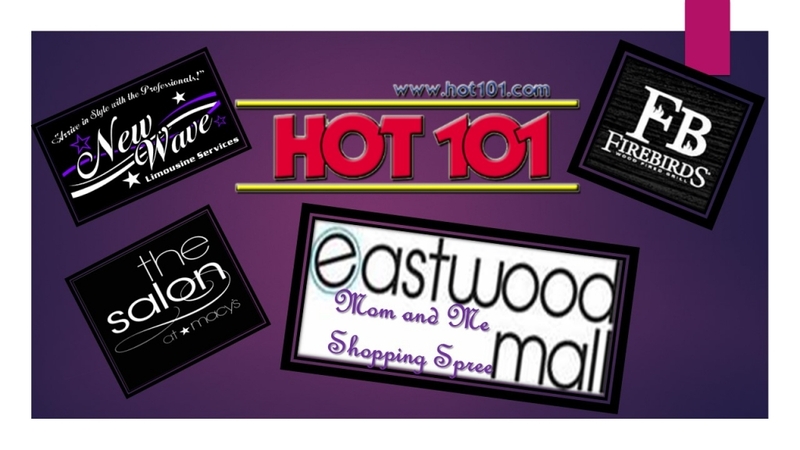 Hot 101 has teamed up with The Eastwood Mall, Firebirds Wood Fired Grill, The salon at Macy’s and New Wave Limousine to pamper MOM for Mothers day. It’s the HOT 101 Eastwood Mall MOM and ME Shopping Spree. Fill out the form below telling HOT 101 Why Your MOM should be selected as the Grand Prize winner for the MOM and Me Shopping Spree. Two $250 Gift Certificates from the Eastwood Mall. Lunch or Dinner for two at Firebirds Wood Fired Grill. Transportation from New Wave Limousine.